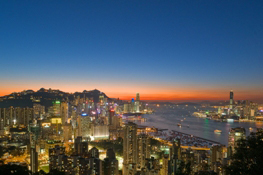 Hong Kong welcomed more than 300,000 overnight MICE (meetings, incentives, conventions and exhibitions) visitor arrivals in the first quarter of 2012, a 4.6% increase compared to the same period last year. This is according to figures released last week by the Hong Kong Tourism Board. HKTB executive director Anthony Lau said that despite the fact that many corporations tightened their budgets on meetings and incentives in the face of global economic uncertainties, overnight MICE visitor arrivals to Hong Kong increased steadily in the first three months, with growth recorded in almost all visitor source markets. "During this period, nearly 70 large-scale MICE events were staged in Hong Kong, said Lau. "These included the International Congress of Cardiology; and TOC Container Supply Chain Asia, which was held in Hong Kong for the first time."